For most of human history, people have been glad to have enough to eat to avoid starvation. Starvation is no longer a threat for most people in the Western world; food has become as much a source of pleasure and entertainment as of survival. 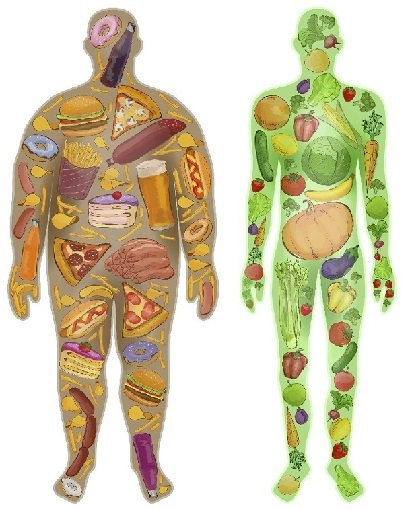 However, it is rapidly becoming clear that food is far more intricately involved in our health than merely keeping us nourished. Researchers are continually finding new evidence that food and its interactions with our digestive system affect health in many surprising ways. In this article, we take a look at some of the latest evidence about the connections between food, our internal flora (the microbiome) and our health. Chronic obstructive pulmonary disease (COPD) causes progressive lung deterioration and asthma; tobacco smoking is the primary risk factor. However, research shows that unhealthy diets (those heavy in refined grains, cured and red meats, and junk food) also impair lung function and increase the risk of COPD compared to healthy diets (consisting of fruit, vegetables, fish and wholegrains). Conversely, people with COPD can improve their lung function by switching to a diet high in fruit and vegetables. People with COPD and asthma typically suffer from inflamed and swollen airways, which the soluble fibre and antioxidants in fruit and vegetables will suppress. Research has shown that people with diets high in fresh vegetables, fruit, nuts and legumes, fish and lean meat are less likely to suffer from depression, whereas those with diets that include lots of processed meat, refined grains and junk foods are more likely to experience depression and anxiety. Interestingly, a diet lacking nutritious food is associated with poorer mental health even when junk food intake is low, while the intake of junk foods can degrade mental health even in people who also eat a wide range of fresh foods. Professor Felice Jacka (Deakin University) and colleagues conducted a prospective study of the diets and mental health of 1949 children (aged 11 to 18 years) recruited from schools in south-western Victoria. They collected self-report data in 2005–6 and again in 2007–8. The study found diet quality to be associated with adolescent mental health, both cross-sectionally and prospectively: children with better diets at baseline had significantly better psychological functioning, and those who improved their diets enjoyed improvements in psychological functioning over time (and vice versa). The data did not support the reverse causality hypothesis – that is, the possibility that poorer eating habits were a consequence of mental health problems. Depression is increasingly being reinterpreted as a whole-body disorder rather than simply a brain disorder and the result of chronic inflammation due to stressors such as poor diet, lack of exercise, smoking, overweight and obesity, lack of sleep and vitamin D, and stress itself. These factors influence your microbiome (the micro-organisms that live in the gut), in turn affecting the immune system, mood and behaviour. Researchers are rapidly discovering the microbiome’s importance in almost every aspect of our health. A human’s gut microbiome, or intestinal flora, consists of trillions of micro-organisms, mainly bacteria but also eukaryotes, viruses and cells, genes, and metabolites from them and bacteria. They aid digestion and the absorption and synthesis of nutrients, and exert considerable influence on metabolism, body weight, immune regulation, brain function and mood. Each person’s microbiome is unique, and begins to develop very early in life. 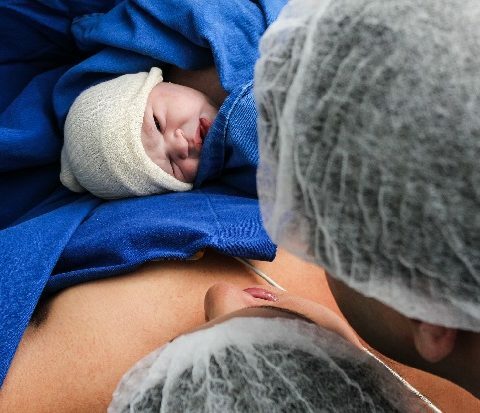 unlike vaginally-born children whose gut is seeded by passing through the birth canal, the gut of caesarean-born children is seeded through contact with the mother’s skin and hospital surfaces. The result is long-term compositional differences in gut microbiota by mode of birth, with differences observed up until age seven. Happily, these cognitive differences disappear as children age. Nonetheless, it’s likely that other effects of the disturbed population of gut flora acquired in caesarean birth will be revealed as the science progresses. Australia’s very high rate of caesarean births – a third of all Australian births in 2013 were via caesarean section – makes this a serious issue for population health. Recent research in mice and humans has shown that particular gut bacteria damage the structure of the brain’s blood vessels, producing defects that increase the chances of stroke or epilepsy. Seizures or strokes occur when lesions allow blood to leak into brain tissue. Researchers at the University of Pennsylvania showed that eliminating certain bacteria from the digestive systems of genetically engineered mice substantially reduced lesion formation. Gram-negative bacteria produce lipopolysaccharides (LPS) – molecules that activate innate immune signalling. Injections of LPS were shown to generate numerous large lesions, similar to those produced by bacterial infection, and when the LPS receptor (TLR4) was genetically removed, lesion formation ceased. In humans, genetic mutations that increase TLR4 expression are associated with a greater risk of lesions, so a drug that blocks TLR4 – already in clinical trials for use in other conditions – is a potential anti-stroke agent. 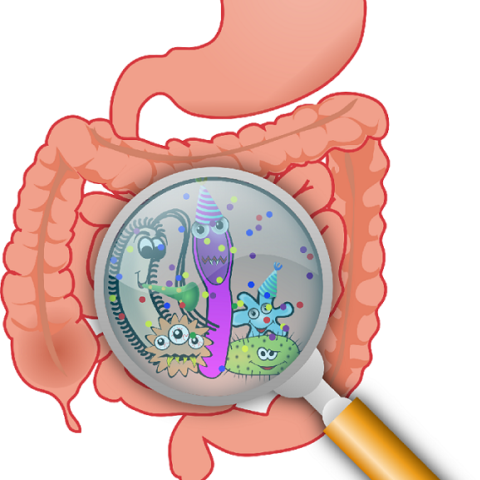 However, the authors concluded that ‘manipulation of gut microbiome–host interactions is a more exciting potential strategy to treat a life-long disease’. Gut flora are increasingly being implicated in overweight and obesity and the associated health problems. A high-calorie diet is itself a risk for obesity, but also alters the microbial ecology in a way that boosts its energy harvesting capacity. As already discussed, caesarean sections radically alter the microbiome, with measurable effects. However, humans can interfere with the microbiome directly, producing both good (intended) and bad outcomes. Humans have been plagued (pun intended) with dangerous bacterial pathogens throughout our history. 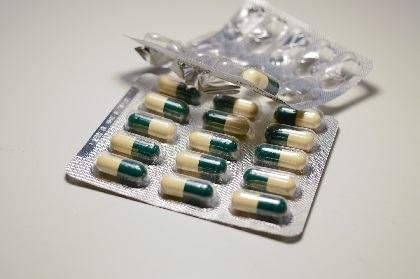 Alexander Fleming’s discovery of penicillin in 1928 and the subsequent widespread use of it and other antibiotics have saved millions of lives. Alongside vaccination, antibiotics are one of the greatest triumphs of medical science. However, as outlined above, microbes perform many crucial functions in human physiology, and many antibiotics do not discriminate between beneficial and harmful bacteria. It’s only recently that we have begun to understand how antibiotics affect the ecology of our gut flora and the implications of those effects. Langdon, Crook and Dantas (Genome Medicine, 2016) wrote that ‘mounting evidence shows that antibiotics influence the function of the immune system, our ability to resist infection, and our capacity for processing food’. Specific antibiotics have been shown to increase susceptibility to Salmonella typhimurium and Clostridium difficile infections by promoting the release of sugars and bile acids in which these pathogens thrive. Moreover, repeated use of antibiotics increases the risk of developing type 2 diabetes, and antibiotic use in infant boys has been shown to increase the risk of overweight in preadolescence. Faecal microbiota transplants (FMTs) involve the transfer of faecal microbes from a healthy person to a patient. FMTs have been used to combat recurrent diarrhoea for centuries, but have been used only recently in Western medicine. Given that an entire microbial community is administered without knowing which specific components are valuable, FMT is a crude measure. Nonetheless, a recent systematic review and meta-analysis of randomised controlled trials found that FMTs are more effective at treating Clostridium difficile infections than vancomycin or a placebo. Healthy faecal microbes are thought to suppress blooms of Clostridium difficile and other antibiotic-resistant infections through niche competition and through the production of as-yet unidentified growth inhibitors. There is also evidence that FMTs are beneficial treatments for colitis and Crohn’s disease, as well as infectious or inflammatory liver conditions. FMTs might become a critical tool to limit the spread of antibiotic resistance in the near future, or be replaced by doses of specific beneficial constituents as our knowledge of gut ecology expands. Researchers are rapidly discovering new (or in the case of poo transplants, rediscovering very old) knowledge about the links between our diet, the microbiome and health. Diabetes, COPD and depression are just some of the conditions that have been shown to be influenced powerfully by diet. The health problems associated with an unhealthy microbiome and changes therein – cognitive performance, stroke, obesity and serious infectious diseases – are equally diverse, and the link between the microbiome and influence such as diet and antibiotics are becoming clearer. This field is certain to grow in importance in coming years.